If you have a passion for baking, and you want to start your own bakery, but you don’t know the first thing about business finances, then you’re not alone. Many people love the craft of certain professions, but if you want to turn your passion into a money-making business, you’ll need a few pointers in business finances. If you want to start your own bakery, chances are you not an accountant too, but you’ll want to be aware of a few terms to help you organize your bookwork. 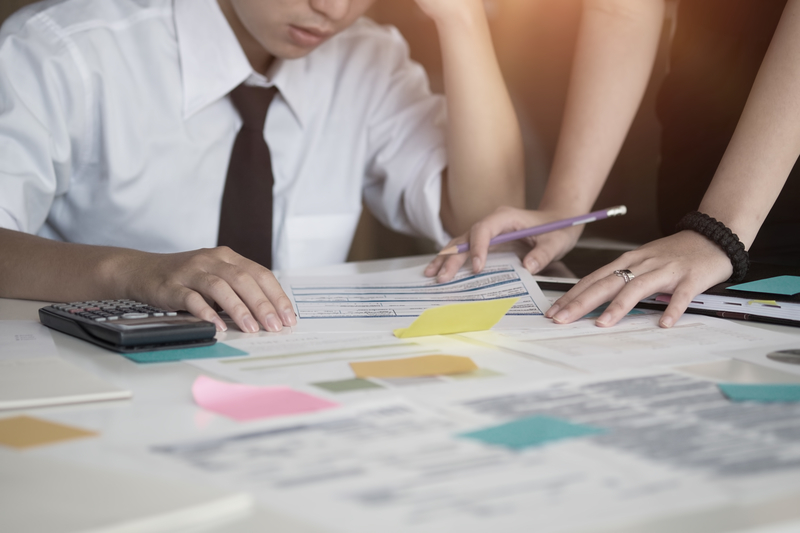 Terms like accounts payable, accounts receivable, cash flow, and income statement might not be terms that you’re already intimately familiar with. If you want to run a successful business, these are exactly the things that you should be thinking about. Whenever you start a business, one of the most basic pieces of advice you should follow is to never just hope that everything comes together in the end. To run a successful business that you will be able to pay your bills on will require that you take the time to track inventory, plan for your taxes, and do the bookwork. In business, success is measured in numbers—revenue growth, stock price, and expenses. That’s why accounting professionals who are able to evaluate and understand these numbers form the foundation of business. Whether you hire a professional, take some online classes, or use financial software, understanding how to create a budget, estimate inventory and costs, and preparing tax information and documents are imperative to getting your financial situation under control. It doesn’t matter how tightly you control your budget–there will always be ways to optimize it or enhance it. That’s one of the beautiful things about running your own business: you get to make these decisions. One of the most crucial things to look for are budget leaks. These are small charges which seem harmless at the time but which compound as the months go on. You might find that you need more efficient machinery to cut down on labor costs, or you might be using the wrong materials for your budget needs. These little inefficiencies pile up over time, costing you a lot of money. Identify them and fix them as soon as you can. To have a financially stable business, you’ll need to balance the sheets. A balance sheet tells you and anyone else precisely what your business is worth at any given time. You need to make sure that it’s accurate, complete, coded to the correct accounts and in the right period, and that all transactions actually took place. When you own a bakery, you’ll likely have many small transactions from your customers, larger transactions from your vendors and for materials for your business. You’ll also have expenses such as rent for the building you’re in as well as buying and fixing property within your shop. To do this correctly, you’ll need to keep accurate records of each individual sale to customers through your register system. You’ll then need to put all of your records into a spreadsheet or into a computer system. You’ll also need to track your inventory so that you know how much you have in ingredients at any given time. You might have an accounting degree, or you might have to hire an accountant to help you with your finances so that you know exactly what you have earned and what you owe others. It might feel like there’s a steep learning curve in the beginning, but it’s possible to run a financially sound business with a little bit of work. If you have to, think of refinancing loans if the rate is good. It could help take out some equity and relieve some financial burdens. You aren’t alone in your quest for success and there are many who have failed before you. We want to help you succeed the first time by learning from the lessons others have experienced through their business trials before you. Learn how to take risks that are beneficial for the growth of your company and find out how to best navigate the open world of business. This entry was posted in Articles, Lessons Learned. Bookmark the permalink.